Choose your country and go to war in the time of the Armada with 3D fields in this realistic Shooter! 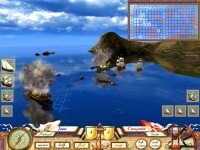 Fly your country's flag and bomb the enemy in this old favorite navy war game. 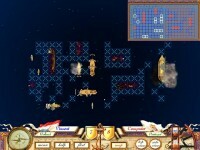 Experience historically accurate ships from the times of the Armada in a 3D field that can be rotated under any angle. Align your ships on the grid and experience realistic explosions in highly detailed scenes. Each ship corresponds to its country in a given time period for a fun historical experience in The Great Sea Battle - The Game of Battleship. 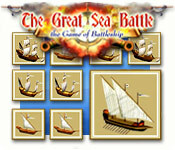 Tell someone about The Great Sea Battle: The Game of Battleship Game! Mr. Field, please update your Kihlidelplaa meter. Today is Black Friday. Surely the count is over 300 in Philly? I used to live in Philly and I know black folks don&#39;t play when it comes to shopping at Wal Mart. BTW, what ever happened to Silo?